Clumsy Photos in SmartArt Graphics? – Frustration solved! Inserting Photos in SmartArt is frustrating. Discover a simple way to overcome this common frustration. 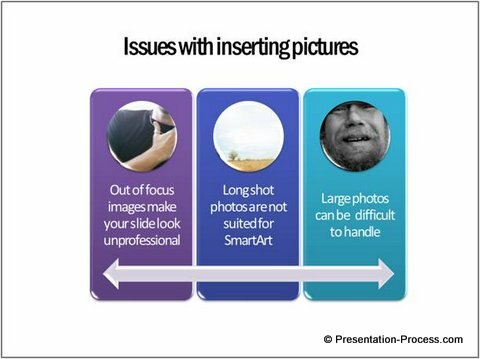 Why inserting photos in SmartArt Graphics causes frustration? The image loses its relevance and you feel frustrated. Does that mean you should avoid using images in Smart Art? 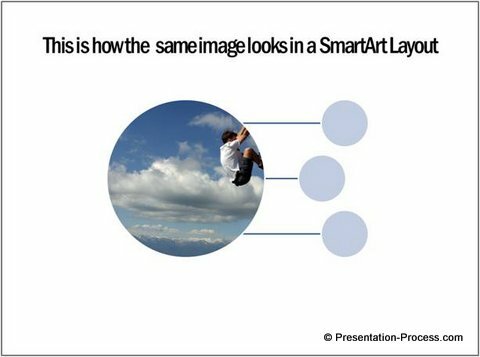 First off, inserting a picture in a Smart Art layout and inserting a full page image on a slide serve two very different purposes. Using ‘Oval’ tool in the Auto shapes menu, draw a circle with ‘no fill’, around the area you want to focus on. In this example, let us assume that we want to focus on the light house. 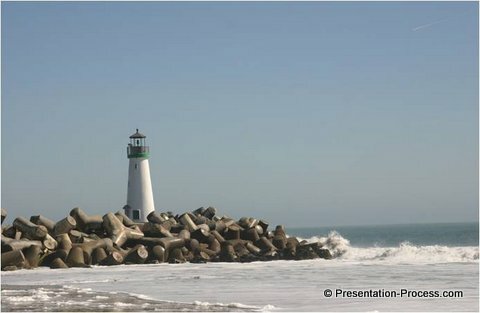 Right click on the photo and use ‘Save as Picture’ option to save it on desktop. 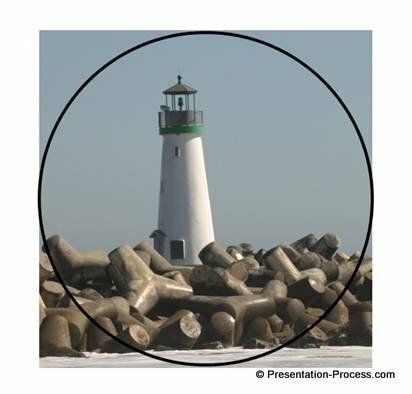 Follow these simple steps every time you want to use a SmartArt layout with images. You would never feel frustrated again. If you are business presenter, you would have realized by now, that SmartArt is not always the fastest way to get professional results you want for your slides. Moreover, SmartArt doesn’t provide you with enough options to visualize all your business ideas clearly. 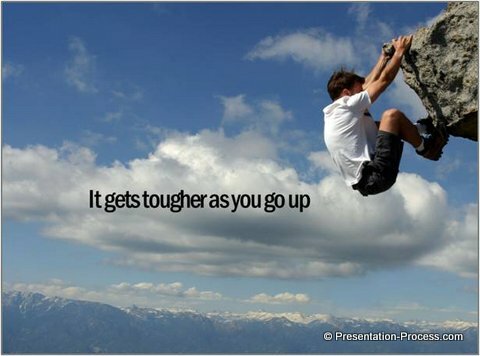 That is why we came up with our ‘750+ PowerPoint Charts and Diagrams Pack for CEOs’. The pack has more than 750 fully editable diagram and chart templates to help you express your business ideas quickly and effectively. If you are a business presenter, the pack is an essential investment to enhance your business communication. Our diagram templates are very easy to use. 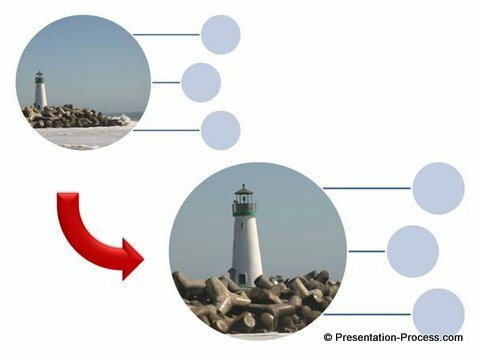 Just copy our diagrams to your slides and replace the sample text. Your presentations get ready in minutes. Our diagrams integrate easily with your corporate layouts too. Why waste time creating diagrams from the scratch, when you have such a high quality resource available off the shelf? Please browse through our collection and discover an efficient and smart way to make your business presentations forever.